For decades, Gary Bernstein has created photographs for clients, among them more than 200 celebrities and a good portion of the Fortune 500 including Revlon, Avon, NBC, American Express, Cartier, Ford, Nikon, Swatch, HP, and Pierre Cardin. 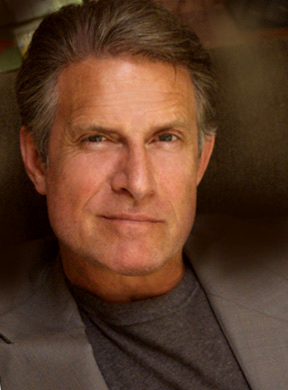 Gary has designed numerous celebrity marketing campaigns including Elizabeth Taylor's Passion Perfume (for Elizabeth Arden and Unilever), Jay Leno for Frito-Lay, Sophia Loren Jewelry (for The Franklin Mint), Joan Collin's Perfume (for Parlux Fragrances), Johnny Carson Clothing (for HartMarx Corporation), Farrah Fawcett (for Sasson), and Jean-Paul Germain (the global "Winners" Campaign which included such icons as Rock Hudson and Natalie Wood). His still photographs have appeared on the covers or pages of most major magazines including Vogue, Harper's Bazaar, Esquire, Hello, Black Elegance, Paris Match, Hola, GQ, Architectural Digest and Popular Photography. Gary received a degree in Architecture from Penn State University, a Masters in Film from Brooks Institute, a Masters in Contemporary Art from The Smithsonian Institution in Washington, D.C., The Photographic Craftsman Degree from The Professional Photographers of America and The Gold Award from The Advertising Festival of New York City. Gary has published many books, with more than a half million copies in the worldwide market. His iconic book coffee table book, BURNING COLD--a compendium of Bernstein's photographs of Lena Harris featuring the prose of Elton John's lyricist Bernie Taupin was launched at the Nikon Gallery in New York City and is sought after by collectors worldwide. Gary lives in Southern California with his wife and children.